A healthy scalp is a vital part of having healthy hair. A portion of hair inside the scalp is the only living part of the hair. So, for hair health, one must also have a healthy scalp. Dandruff is a condition that impacts the scalp, and dandruff affected scalp cause damage to hair growing in it. It is not compulsory that dandruff will slow down the growth of hair. But, surely, the hair that grows from dandruff impacted scalp will be less healthy and more prone to breakage and damage. Dandruff has other harmful symptoms like an itchy scalp. But experts recommend that one must resist scratching the itchy scalp at any cost. If you scratch, you will damage hair follicles and prevent the production of hair of good quality. 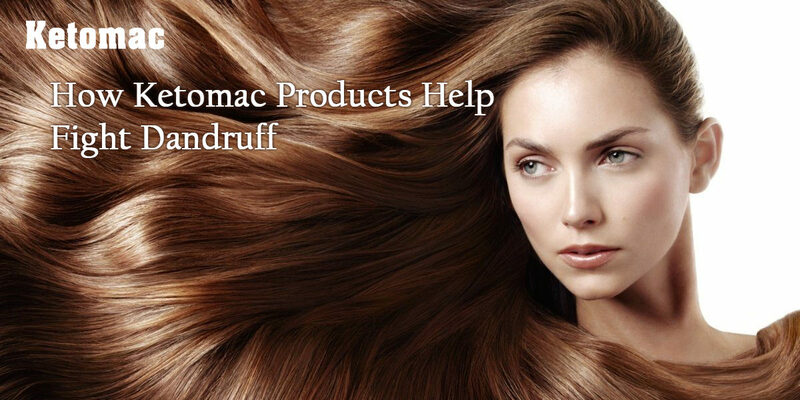 Dandruff also causes damage to the natural moisture barrier of the scalp. This leads to both dry hair and dry scalp. When the scalp fails to retain moisture, the hair it makes is also less moisturized. Dry hair is prone to frizz and breakage. In the extreme cases, dandruff also causes hair fall. The symptoms of dandruff manifest in feelings of irritation, which is a result of the main reason of dandruff – Malassezia Globosa (fungus). Flaking is the most obvious sign of dandruff. They may appear on your scalp and also your shoulders. Flaking is caused by the tendency of the body to speed up the rate at which there is a renewal of skin cells. Thus, excess cells develop on the scalp and will flake off. Though flaking is the most evident sign, it is not necessarily the first. The first symptom is often itchiness, which indicates a warning sign for the progress to flake generation. Redness and dryness are also early signs resulting in tightness of scalp. When such symptoms appear, it is a good sign that one must switch over to an anti-dandruff shampoo. Ketomac is essentially a formulation of Ketoconazole. It is a topical application of synthetic, broad spectrum, and anti-fungal agent in a concentration of 2% in cream/ shampoo base. It is an azole, anti-fungal which works by preventing the growth of the fungus. Ketomac is in the same class of drugs like miconazole and fluconazole. Ketomac cream/ shampoo/ tablets contain Ketoconazole, which kills yeasts and fungi by affecting their cell membranes. The Ketoconazole prevents fungi from producing a material called as ergosterol, which is a crucial part of the cell membranes of fungi. These cell membranes are weakened when there are barriers to production of ergosterol. As a result, contents of the fungal cells leak out causing their death. It is utilized for treatment and prevention of dandruff. It treats dandruff, itching, scaling and flaking. It also helps to ease inflammation resulting from dandruff. The shampoo is a synthetic, broad-spectrum, anti-fungal agent in a concentration of 2%, available in an aqueous suspension. It is an anti-fungal medication which prevents fungus from growing on your skin. It is used to treat multiple conditions like candidiasis, jock itch, ringworm, athlete’s foot, etc. Basically, it helps treat flaking dry skin and inflamed skin with scaly, red and greasy areas. These should be used when other powerful anti-fungal therapy is not tolerated or available. Tablets are considered for treatment of systemic fungal infections in patients, who do not respond to other therapies. previousHow to Deal with Your Hair Problems?